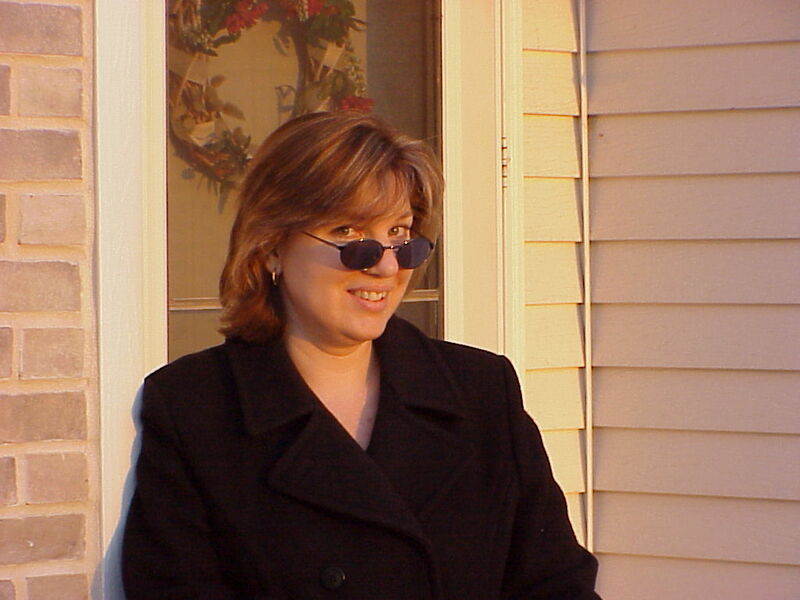 Karen McQuestion is the author of six books available on Kindle: Lies I Told My Children; Favorite; A Scattered Life; Life on Hold; Easily Amused; and a children’s book, Celia and the Fairies (also available in paperback). Her first novel and the book we’ll be discussing, A Scattered Life, was recently optioned for film. Her other writing credits include humorous essays in Newsweek, the Chicago Tribune, Christian Science Monitor, Denver Post, Wisconsin Academy Review, Generations magazine and other fine publications. SLP: Thanks for agreeing to be interviewed, Karen. Let’s jump right in: Where and when were you born, where were you raised, where is home today? KM: I was born in Milwaukee, Wisconsin in 1961 and grew up in nearby Wauwatosa. I’ve lived in Wisconsin my whole life, with the exception of a three-month stint in Peru in 1991. I came back from Peru with the cutest baby girl ever, so the stay was well worth it. SLP: Other than writing, what is your principal occupation? KM: Writing is my full time job, I’m happy to say. I treat housework as an insignificant secondary pastime, and if you’ve been in my home lately, you’ll know it’s not a top priority. SLP: What do you write? KM: I write fiction for adults, teens and children, and essays of the humorous variety. Whatever I’m currently working on is my favorite category. I’m fickle that way. SLP: What genres most appeal to you as both writer and reader? KM: I’m pretty open in my reading. I love beautifully written novels that sweep me away emotionally. And any writing that effortlessly transports me to another world. Books and essays that make me laugh are favorites, too. SLP: What writers have most influenced your work? KM: Everything I read influences me in one way or another. I tend to think writers learn from reading different styles and levels of work. That said, writers I admire include Anne Tyler, David Sedaris, Claire Cook, Nancy Horan, Audrey Niffennegger, John Irving, Anne Lamott and many others. I’ve also been lucky to have met some extremely talented writers locally, who have been kind enough to give me feedback on my work. SLP: Have you considered other forms of writing such as travel or screenwriting? KM: Funny, you should mention it, Spad! I’ve often thought I’d like to write a screenplay. Not that I’m qualified, but I’d love to give it a shot. You never know until you try. SLP: Tell us about your writing process. For example, where do you write, and do you work best in the morning or later in the day? KM: I like to write in the morning—three to four hours is my limit. I generally work at home, but if the laundry and email yell too loudly, I’ve been known to go to the library. I write longhand in a notebook, then enter it into a Word document on my computer. SLP: When and how did your interest in writing first manifest itself? KM: I’ve envisioned myself as a writer since third grade, when Mrs. DiFrances read my short story out loud to the class as an example of how it’s done. I was a terribly shy child and was absolutely mortified that all eyes were on me, but I also felt a strange, budding pride. Ever since then I considered myself a writer, even during the years when I didn’t write at all. SLP: Do you have any other creative outlets such as music, dance, or graphic arts? KM: Oh please. Trust me—you don’t want to see me doing any of those things. SLP: Does your writing process include taking lots of notes? If so, how do you manage them? KM: I do take notes and have a spiral bound notebook just for that purpose. Sometimes I wake up with brilliant ideas and jot them down in the middle of the night. In the morning I discover I’ve written something like, “it was all his fault,” underlined twice, and have no clue what it means. Still, I believe it’s better to have it and not need it, than need it and not have it, so I write down everything that seems significant. SLP: Do you have a daily goal as to how much you write? KM: My daily writing goal is two to three manuscript pages minimum. SLP: Do you have a specific technique for priming the pump for the next day’s writing? KM: I usually read and edit the previous day’s work before plunging ahead to the new stuff. Going back first seems to help me to ease forward. SLP: How do you deal with writer’s block? KM: If I encounter writer’s block, I just push through it and write something, anything, even if I sense it’s not working. Pages can be reworked or deleted, but you can’t revise the empty page. SLP: What are your reading habits and what are you currently reading? KM: I love to read and always have. I’m a slow reader and probably read two to three books a month at best. My son just gave me David Sedaris’s When You Are Engulfed in Flames for my birthday, so that’s what I’ll be reading next. SLP: What would you estimate to be the ratio of fiction to nonfiction? KM: Maybe 50/50? I love novels, but sometimes I’m really in the mood for a biography or memoir. SLP: When discovering a book you’ve begun isn’t to your liking do you feel compelled to finish it? KM: I never slog through a book if I’m not enjoying it. I’ll give it 50 pages or so and if it doesn’t grab me by then, I set it aside. Life’s too short and there are so many good books to read. SLP: Your characters are exceptionally well defined. How much of A Scattered Life is based on your own life experiences? KM: The characters in A Scattered Life are completely fictional, but of course, as an author I brought elements of people I know to the mix. SLP: How about the Bears? Have you known a similar family? KM: The Bears, a family of five wild boys, led by a good-natured but unorganized mother and harried father, is a combination of a lot of people I know. Growing up, there was a large family in our neighborhood I found fascinating. When I visited in the summertime, their house was a joyful, noisy mess of a place, a constant blur of motion and noise. So different from my own house where you were expected to close the door behind you and wipe your feet on the mat. SLP: In some respects Audrey seems like the “universal” mother-in-law—well intentioned, but meddlesome. Was this intentional? KM: The mother-in-law, Audrey, is not necessarily a likable character, but I have a certain sympathy for her. All she wants is to be needed and included, which is what most of us want. Her methods are misguided, of course, which leads to some of the more interesting plot twists. SLP: Are your other books set in Wisconsin, and is Pellswick patterned on a real place? KM: All of my books are set in Wisconsin, in fictional versions of places I’ve actually lived or visited. SLP: Approximately how long did the book take? KM: The first draft of A Scattered Life took about a year to write and I kept at it slowly and steadily, writing almost every day. SLP: On the whole, do you consider your stories primarily character-driven? KM: I do believe my fiction is primarily character-driven and that the plot evolves from the actions of the characters. It only works if it stays true to the personalities as the reader knows them. I started with one scene in mind: A shy man has a crush on a waitress who works at a Mexican restaurant. He’s thirtyish and conservative, almost nerdy, and she’s much younger, a free spirit who is at loose ends in the world. He’s been coming in to the restaurant to watch her, never quite getting up the nerve to talk to her until something unexpected happens. That’s how it started—with a fragment of an idea and two characters. I don’t outline my novels, so the act of writing them is a leap of faith. I always seem to know the next few pages, but sometimes I’m convinced I’m writing myself into a corner and get a little panicky. It all seems to work out in the end though, and I wind up thinking, oh that’s why this or that happened. For instance, I had no idea why the bookstore hosted psychic readings initially, but Madame Picard wound up being instrumental to the story. I’ve learned to trust the process. Oftentimes, the writing of a novel feels more like remembering than creating. I’ll go to bed at night not having a clue where things will go from the point I left off, and in the morning, I’ll know what happens next. And it does very much feel like it’s something I’d forgotten that I finally remembered. Very odd. SLP: How did you arrive at the Bear’s Christmas card scene? KM: The Bear kids were wild, bouncing off-the-wall, active boys and I could only imagine that trying to get them nicely dressed and lined up for a Christmas card photo would be a huge ordeal. And then add the dog to the photo, and have him do something inappropriate, but undetected, and I could see where this would cause major problems. I have to make a confession here: in one of those exceedingly rare times I’ve cribbed from real life, this particular incident happened to a friend of mine, but luckily she noticed the problem before the cards were sent out. SLP: Is writing strictly a linear process for you, or do you work on multiple writing projects at the same time? KM: Strictly a linear process. I have tried to work on more than one fictional project at a time without much success. For whatever reason, my brain doesn’t work that way. SLP: Without giving away too much, one of the characters becomes seriously ill. Was this episode taken from life? KM: Not specifically, although I have experienced helplessness and loss. SLP: Did you consider different endings for the book? KM: I knew the story would end on a hopeful note and that Skyla and Audrey would finally make peace, but I wasn’t entirely sure how that would happen. One discarded draft ended with a birthday party for Skyla’s little girl, Nora. It was a busy scene with the entire cast present, but it seemed like overkill. Ultimately, I decided less is more and wrote the ending as it stands now. SLP: What percentage of your readership would you estimate is female? KM: I would guess the majority of my readers are females, although I have heard from a few men who have enjoyed my novels. The fact that A Scattered Life features a mother-in-law conflict seems to hit home with married readers. It seems that nearly every woman I know has a story about their husband’s mother. Women are generally the organizers, social planners, and holders of tradition within the family and when the new guard threatens the old guard, problems arise. Control issues and communication problems abound in families and most women can relate to the storyline in the novel. SLP: What do you find most difficult in writing your stories? Do they come easily or do you frequently struggle with them? KM: The first fifty pages of a manuscript are difficult for me and I often feel like it’s terrible. Generally I want to delete it and start something else. I always doubt myself. And then, at some point, I get some momentum and the process becomes joyful. And from there it just gets better and better. SLP: What are your other titles and in what order were they finished? SLP: Tell us about your next writing project. KM: I am currently working on a novel, and I’ve only just started so I hesitate to say anything about it. I can tell you that I think it’s terrible and I’m tempted to delete it and start something else. SLP: I understand that A Scattered Life has been optioned for a film. Can you tell us more? 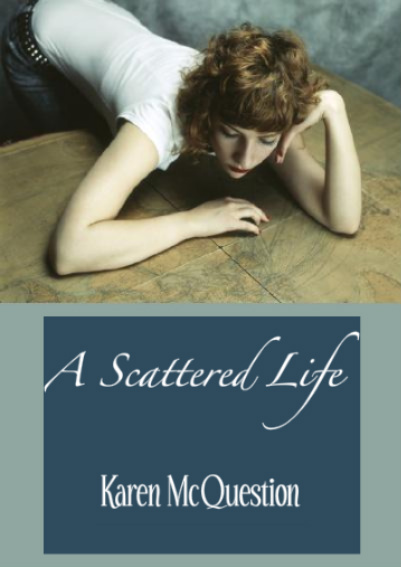 KM: A Scattered Life had been available on Kindle for less than two months, when I got an email from the head of a production company inquiring about the movie rights for the novel. Once I recovered from the shock, and determined it was a legitimate offer, we were able to agree on terms. Frankly, I was probably not the best negotiator. I was just thrilled to have the offer before me. The producer envisions it as a character-driven film like Little Miss Sunshine. I’m keeping my fingers crossed that everything aligns and it eventually gets made into a movie. SLP: Do you currently own an ereader? KM: I own a Kindle, which I love. I didn’t buy it until after I uploaded my own books on Amazon and my motivation was to see how my books looked on the device. I never anticipated enjoying it as much as I do. I think eventually ereaders will be as common as iPods. SLP: What do you believe will be the short- and long-term impact of ebooks on the publishing industry? KM: The book publishing industry is having a terrible time lately, which is a shame. I know that ebooks are affecting their profits and I hope that eventually this new technology proves to be advantageous for everyone involved. The idea to follow Thomas didn’t occur to Audrey until his secret outings had gone on for several weeks. Even then she resisted the idea. Heavens, what kind of mother spied on her adult son? Probably the same kind of mother who was stuck washing his underwear when he’s old enough to wear a size 32 brief, she decided. Without knowing if she’d actually go through with it she planned her course of action. She checked Thomas’s car before and after his evening trips. The odometer was always seventeen to twenty-one miles higher than before he left. To get her bearings she walked to the end of the driveway shortly after he left one evening (her excuse was checking the mailbox) and watched his tail-lights in the distance turn right onto the main road. She’d use Walt’s car. It was a dark blue, mid-sized sedan, less likely to be noticed than her white station wagon. Walt wouldn’t think anything of it. Audrey often used his car when hers was low on gas or if she was going somewhere where parallel parking might be involved. Over the weekend she decided Monday Night Football would be the perfect time to slip out. With enough cold beers in the fridge and the chips and dip already set up, Jeffrey and Walt might not even notice she’d left. Monday afternoon she moved Walt’s car onto the street so no one could park behind it, and slipped her field binoculars under the front seat. It was unlikely Walt would move it before Thomas left. Since Walt retired he was a creature of precise habit. If he hadn’t left the house by noon, he was home for the day. With the Packers facing the Minnesota Vikings later that evening it was doubtful he’d even leave his recliner. SLP: Again, thanks to Karen for the interview, and a last reminder to our readers that Karen’s books are now available from Amazon’s Kindle Store. Great interview im a big fan of her work very nice insight into the writing. Thanks, kipp. I think Karen has a bright future. I read Karen’s book Easily Amused and loved it. Karen has a way of drawing you right into the story by making you care about the characters. Note to our readers: L C Evans, an accomplished author in her own right, will soon join the ranks of our Featured Authors. Stay tuned! I really enjoyed L.C. Evans novel–We Interrupt This Date. Talk about quirky characters! I look forward to her interview. Great interview! I read Karen’s book, FAVORITE, and I bought A SCATTERED LIFE which is on my TBR pile. I can’t wait to read it! Great job Karen! I’m a Wisconsin neighbor and am thrilled to hear of your success with self-pub and e-books all in one.